SO I have decided Pippi's Piece will be little tad bits, hints or suggestions to either help save money, feed the children faster and healthier, or for living in the inner city with children. Converting Plain Flour to Self Raising Flour. Today's Pippi's Piece, is information about flour. If you live in a small house like I do, and also like to cook alot, it takes a lots of space keeping a big supply of both SR Flour and Plain flour on hand. I also am buying bread mix and bread/pizza flour. SO to save space, I have started buying Plain flour. 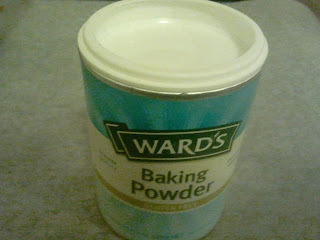 When I need Self Raising flour, I merely add 2 teaspoons of baking powder to every 1 cup of Plain flour. It is easy and effective. I find there is no difference in price in buying Self Raising Flour or Plain Flour, so the extra baking powder does cost a little bit more. However I find this a small price to pay and find it saves space having 1big box of flour in the cupboard.